I find inspiration everywhere--from watching what people are wearing on the street when I travel, to reading fashion magazines. (One of my secret pleasures is Teen Vogue--especially the back-to-school issue). I live in Alaska, and the natural world is a constant inspiration. For instance, my Alpine Frost Scarf was inspired by the frost forming on my living room windows forming in a pretty pattern. I love provisional cast-ons because they allow knitting to go in more than one direction. I use it to make draw-string casings --like in a pair of pants and a skirt I designed for Knits for Bears to Wear--and to start something in the middle rather than the top or bottom--like in the Pleated Vest I designed for Blue Sky Alpacas. I like my range to be as wide as possible. I design my garment as a women's medium, usually, and then scale up and down from there. If I'm designing for publication then the range is determined by the publisher. My designs usually focus on interesting construction techniques and flattering silhouettes rather than fancy stitch-work, so grading my patterns isn't usually too hard. I love looking at other designers' work! I'm an editor for a British crochet magazine called Inside Crochet, so looking out for what other designers are doing is part of my job. I don't worry about being influenced at all. I find I have plenty of ideas to create my own designs, and if I'm inspired by, say a collar on someones sweater, it may end up inspiring me to make a pair of mittens the following year, and that's how creativity works. I haven't heard about that controversy! 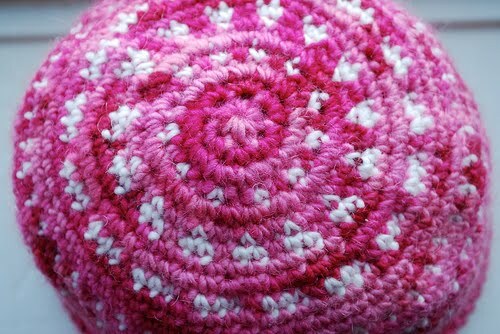 I write patterns for things that I would like to wear, and I use techniques that keep me interested while I'm knitting. Luckily, my designs seem to entertain and please other knitters too, but I don't purposefully try and write easy or hard patterns. What I DO try and write are clear, easy to understand patterns with lots of visual aids (schematics, charts) and patterns which have an open framework and allow the knitter to easily adapt the pattern to her own specific fit, using her own yarn choices. I have none working for me right now. My focus has been on writing books and editing over the last year, and so my rate of producing designs has slowed a little. I do love working with contract crocheters and knitters, but I prefer when they live close by to me so I can help them along and make sure that their work is to my specifications before they get to far. Even when I work with contractors, I always like to do my own finishing. I did not. Frankly, it's not practical for me to make designing my full time work right now because that involves too much travel, and I have small children and live in a remote part of the world. But I do love that the work I do is work I love! Not exactly, but I have great respect for knitters who have made their businesses, especially Cat Bordhi and Annie Modesitt--both of these women are mentors in that they love to help newcomers and they trumpet the rights and abilities of designers to make a living and do it well on their own. 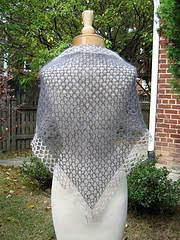 Annie Modesitt also accepted my first design for publication, and Cat Bordhi allowed me to take her amazing classes when I was a crochet designer but very new to knitting, then she has encouraged me ever since to peruse my publishing goals. I would have no business without the Internet. 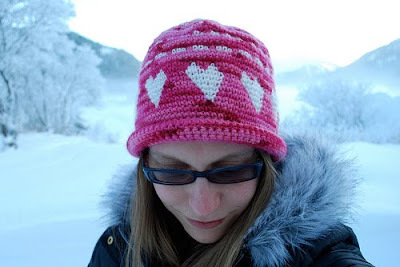 I started writing my blog in 2005, and soon after discovered Kim Werker's crochetme.com. Kim accepted my designs, and I decided that was enough for me to start calling myself a designer. From there almost all the work I sought and received was through the Internet. Absolutely. I also am a technical editor but I never tech edit my own work. What is this thing called balance? :-) Really, I let life come first, and I fit my designing in around it. Luckily, I have time and a wonderful situation where I don't have to design any more than I have time for. I'm happy to receive constructive criticism. I usually ignore insult, if possible, but of course, it hurts. I haven't had to deal with it much. I don't think of corrections as criticism. I don't love ever having errors in patterns, but I'm thrilled when someone finds one because it means I can correct it. As I said, I can't support myself or my family on my design income. Unfortunately, designers are not paid enough where any but a few can make a full time living at it. Those who do, have a delicate balancing act of designing, writing books, traveling to teach which takes much more than a full time job. I applaud them, but I'm not able to do that, and I don't think I'd want to travel that much. I do love to teach, and I teach here in my town where we have an amazingly talented group of fiber artists. I'm looking forward to learning more about teaching Internet classes so I can offer my classes to others without traveling. Just start! There's always room for more talented knitting and crochet designers. And if you're a crochet designer looking to start submitting designs, e-mail me with some sketches and swatches. We're always interested in hearing about new people.